Maui is our absolute favorite place in the world! We got engaged, then married there a year later. Now, we return EVERY year to celebrate our anniversary and relive our favorite memories. Do as our sign in our apartment says, "Hawaii is calling and I must go!" We got this sign at Sand People in Maui, my favorite shop! 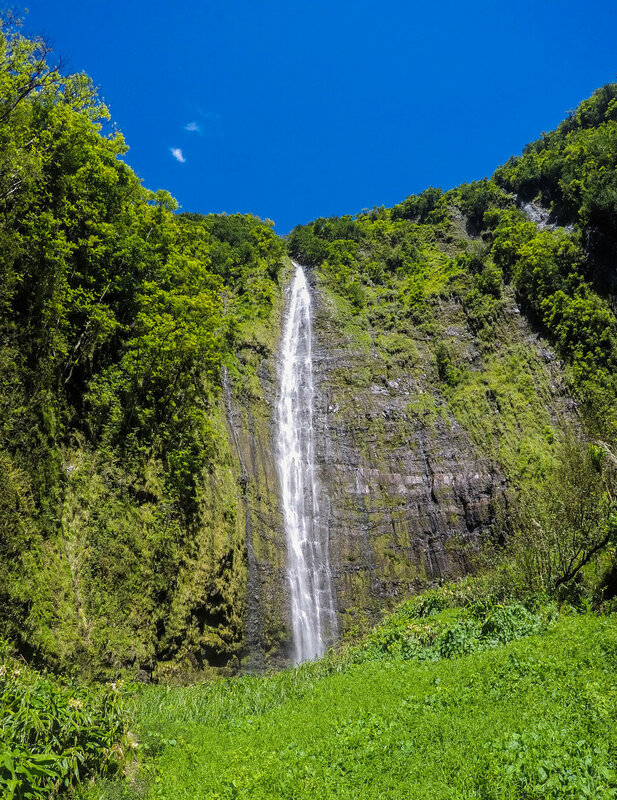 There are so many different things to do in Maui, but here is our favorite itinerary! This post may contain affiliate links of services that we love! If you book anything through these links, we get a commission at no cost to you! Help support the blog by saving and using these links. We take the 8:30a American flight from LAX to Maui (OGG). It's about 5 hours to get there and with the time difference, we arrive at the hotel around noon and have almost a whole day to do something fun on the island. It's hard to get around the island without a car. We always rent a Jeep through Costco Travel to save money and get the best car to tour the island. We love the ones with the removable roof! Don't have a Costco membership? That's ok, Booking.com also has great deals on car rentals or you can get a fairly decent rate on an airport transfer (if you don’t want to drive) on agoda.com! We like to stick the Kannapali stretch of hotels mainly because there is a lot to do and you can walk (or swim) everywhere. We love the Sheraton Maui Resort, which is located at the end of the Kannapali hotel stretch, against the black rock. Get a great rate at the Sheraton on Booking.com - we often find the lowest prices there. Check-in is normally 3p, so we try and check-in to see if our room is ready early, and if not we head to get lunch at one the pool bars (Cliff Dive Bar or Mai Tai Bar) and a Mai Tai! YUM! Usually our room is ready right after lunch, giving us time to move in and get ready for our first adventure. Find great hotel rates on Agoda.com, they use multiple search engines getting the best price! So easy! The best part about the end of the Kaanapali beach is the Black Rock, in front of the Sheraton Resort. Where it might seem like a hideous black lava rock, under the sea you can find gorgeous coral, tons of fish, and usually see a turtle or two. We’ve even seen a few octopus’ but you have to look hard for them! Another great spot is Kapalua Bay. Even though the clarity isn't as great as around Black Rock, there are still plenty of fish to see. On one of our swims, we saw 6 turtles! We parked in a free beach parking lot (or there is street parking) next to Merriman's, and walked through the tunnel near the valet for beach access. Don’t forget to pack a hat! 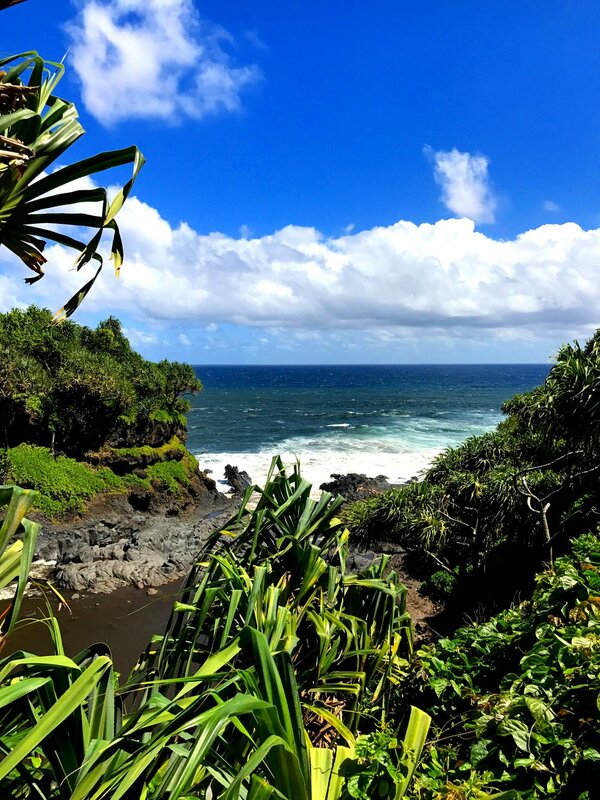 This is a perfect place for good brews and bar food especially if you are coming back from a swim in Kapalua! The Maui onion dip and buffalo chicken wings are our favorite items on the menu! They put all of their beers on menu chalkboards in the restaurant and switch them out occasionally. You can also purchase beers there and take them home! We had them package up a few cans of beers we couldn’t buy on the mainland - all beers made it home just fine in our checked bag. There are also TV's throughout the restaurant if you are looking to root for your favorite sports team. Pro-tip: Start as early as possible to beat the crowds and the tours. Don't forget to stop to try some of Coconut Glen's homemade ice cream! They serve organic, vegan, dairy free ice cream, using coconuts from the jungles of Maui. Don't let "organic, vegan, dairy free ice cream" scare you. TRUST ME, you won’t regret it. On our way back from the road to Hana adventure, we stopped at Mama's Fish House for dinner. Make sure you make a reservation in advance, we used Opentable. Parking is valet only. I'm not a fish person particularly, but I did try some of our friends dish and it was the best fish I’ve ever had. I enjoyed their short rib and a couple of Mai Tai's (love that it's served in a tiki glass)! 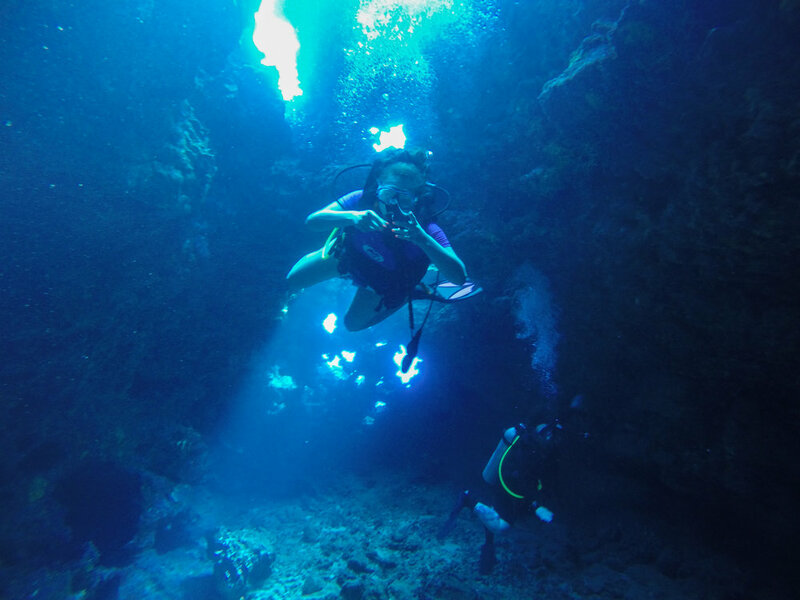 Since we are scuba certified, we love to go diving at different locations in Maui. We loved the company, Extended Horizons in Lahaina, they go to the best spots and have the amazing diving instructors. The dive site, Cathedral II, was one of my favorite dives! 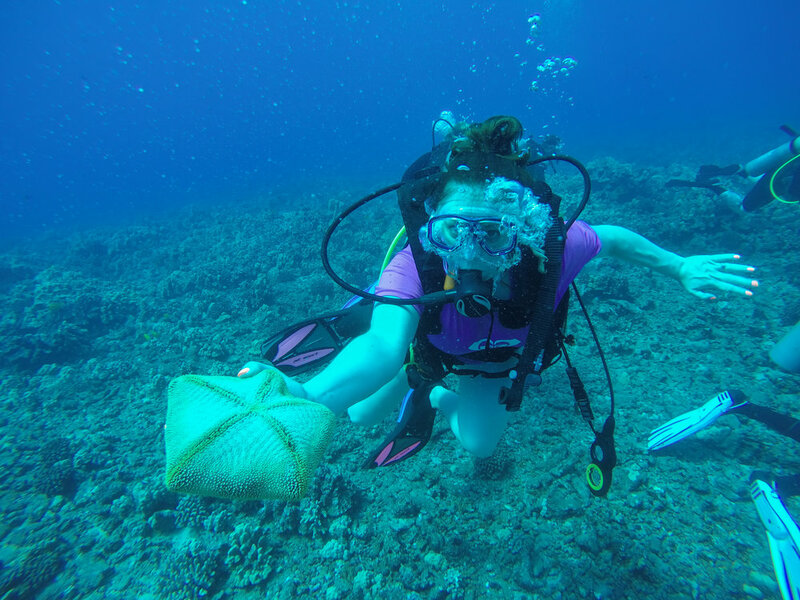 Some other great spots include Molokini and Turtle town! They leave from Lahaina which is very convenient for staying on Kannapali beach! Whale season usually starts around November and you can often hear them while diving! We book our massages at the hotel typically the day we check-in, and look forward to them every day. We love getting our annual couples massage at the resort, especially after a few scuba dives or doing a trip to Hana. We usually get a basic full body massage for 50 mins, but this last time we went for the 80 mins and it was worth every penny. The rooms are patio like with natural sunlight peaking from the top, complete with soothing Hawaiian tunes. Ahhh.. relaxing just thinking about it. Grab your flip flops! We like to bring a book, a magazine, cards, or scroll through Instagram by the pool. This is where I started my research to start a travel blog! I may have ordered a few drinks to think it was a GREAT idea! We walked down to Whaler's Village for some shopping and grab dinner at the Barefoot Bar. Barefoot bar is more casual ($$) serving burgers, fish and chips, pizza. Fun part about the bar, your feet are in the sand. Usually they have live music and entertainment. I love their Mai tai's which are served in tiki glasses topped with the umbrella! 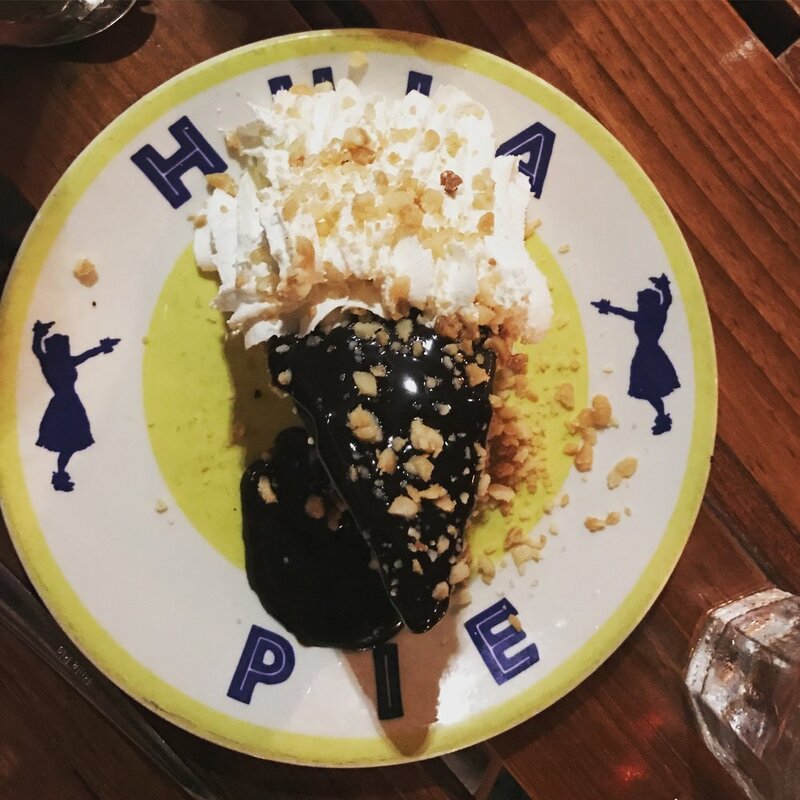 You MUST try the Hula pie! It’s vanilla or macadamia nut ice cream with and Oreo crumble pie crust, with whipped cream and fudge on top! OR try their ice cream sandwich. It’s a hard choice… just get both! Need more options? There is also the new Monkeypod Restaurant in Whaler's Village that opened from the owners of Merriman's. We got up at 2am and hit the road by 3am to drive about 2 hours to the top of Haleakala Summit. Check the sunrise times and try to arrive about an hour beforehand for a spot in the lot. It gets pretty chilly at almost 10,000 feet, I wore layers with exercise clothes and sweat pants and sweatshirt on top. If you don't want to drive (the roads are very windy up and down the mountain), there are many tours that take you to the top and some even offer a bike ride down. Since the sunrise viewing in atop of a mountain, there are many spots to watch the sunrise from and not a bad view. As the sky starts to change cameras come out, and the sun rises through the clouds. It's one of the best sunrises I've ever seen in my life. Fun Fact: Josh proposed to me here! On the way down from Haleakala, we stopped at Kula Lodge for spectacular views, breakfast, and a Maui-mosa (they use pineapple instead of orange juice). By the time we got back to the hotel, it was time for a nap and relaxation. We took a quick nap, then went to hang out by the pool and snorkel in the ocean. We made a reservation about a month in advance to make sure we could get there for some cocktails and sunset. It is the perfect spot for sunset drinks and dinner. Prices as a higher end restaurant ($$$$), it is located right on the water overlooking Kapalua Bay. Their cocktails are superb, made with fresh ingredients. The farm to table menu has a variety of fish and savory steak. Don’t ever forget about ordering some dessert. It's about a 15 min drive from the Kaanapali resorts. Le sigh, this ends our trip. But how amazing did it look?! :) Let us know what you think or if you have any suggestions in the comments below! We find the best rates on Booking.com for hotels - please check there prior to booking anywhere else!